What you need to know before making the switch to wireless audio. A portable Bluetooth speaker is a handy accessory to have for your smartphone or laptop, but picking one can sometimes be stressful affair, especially given the sheer number of options in the market. You have speakers in all shapes and sizes, ranging from a few hundred rupees all the way up to Rs. 30,000 and beyond. The best way to choose a speaker that's right for you would be to audition it as sound is very subjective so it's impossible to gauge how good a speaker is by simply reading the specifications. However, unlike smartphones, you can't always try-before-you-buy even in big shopping malls. The next best thing would be to knowing what to look for in a speaker, so that it meets all of your requirements before you take the plunge. We've put together a small checklist of features that you should consider before buying your next portable Bluetooth speaker. As we mentioned before, it's not ideal to base your purchase decision on specifications alone but it's a good place to start, especially if you can't get a field test of the speaker yourself. Frequency response is measured in Hertz and is typically described as a range, say from 100Hz - 20,000Hz. In theory, the wider the range, the better the ability of speaker to reproduce audio as it was intended. However, having a big range alone doesn't guarantee good sound as it depends on how your ear perceives sound too, which can vary wildly from person to person. Other factors like the listener's age also come into account since our ability to hear certain frequencies diminish with time. In an audio track, the bass is usually heard around the frequency range of 20Hz to 250Hz. Vocals and other instruments like a guitar and piano typically reside in the range of 250Hz to 4000Hz (or 4kHz), which is commonly referred to as the mid-range. The rest of the frequencies (up to 20,000Hz) form the treble. The version of Bluetooth determines the quality of audio transmission and distance you can keep between your phone and the speaker. 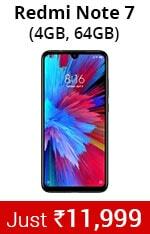 You should ideally look for Bluetooth 4 or better, as this version adds support for Low Energy profile, for better battery life and its is about 60 meters. Bluetooth 5 is the latest standard, which vastly improves the data transmission rate and range, but there's still time before we see speakers adopting this standard. The driver is the heart of any speaker so its imperative you get a decently sized driver. Most portable speakers will typically have a 40mm driver, which is good size to start with. If you want bigger drivers then expect the overall size of the speaker to increase too. The Sony SRS-XB41 boasts massive 58mm drivers, which does of course make the speaker much larger. The number of drivers and their placement also make a difference to how the speaker will sound. Smaller Bluetooth speakers typically come with a single, full-range driver and are positioned either facing upwards or downwards, in order to displace sound better. Many speakers also have a twin driver setup, which tend be noticeably louder. Since there isn't much space inside a portable Bluetooth speaker for a woofer, most manufacturers install passive radiators, which vibrate to produce bass. If you're someone who listens to rock and electronic music a lot, then having passive radiators like in the JBL Flip 4, really helps. Besides wireless connectivity, it's nice to have the option for the wired connection too so check for an auxiliary connector. This is generally marked as ‘Aux-In' in the specifications page of the speaker. A wired connection is handy if you wish to save a bit of battery on your phone or speaker and it also helps sometimes in getting better quality sound. Many speakers also have NFC, which helps in quick pairing with your devices. A microphone is a good feature to have too as it lets you answer calls directly through the speaker, like a speaker phone. This way, you don't have to go looking for your phone when you get a call as you can answer it directly through the speaker. Having a microphone also lets you interact with your phone's virtual assistant, so you can schedule appointments and check for weather updates without having to touch your phone. Having a standard USB charging port is an added convenience, especially when you're outdoors or at a friends place and don't have the bundled cable with you. Most speakers these days stick to a Micro-USB port, which makes it possible to charge them with power banks too, if you're away from a wall socket. Where will you use the speaker the most? Specifications aside, you also need to think about where and how you'll be using the speaker. If it's mostly for home use then, you should ideally consider something that will blend in with your home decor. Take the Bose SoundLink Revolve for example, which has an aluminium body and a contemporary design, which is perfect for the urban living room. If you're going be using the speaker in the shower or outdoors mostly, then you should ideally consider a rugged, waterproof speaker. There are plenty of decent options to consider across price ranges. 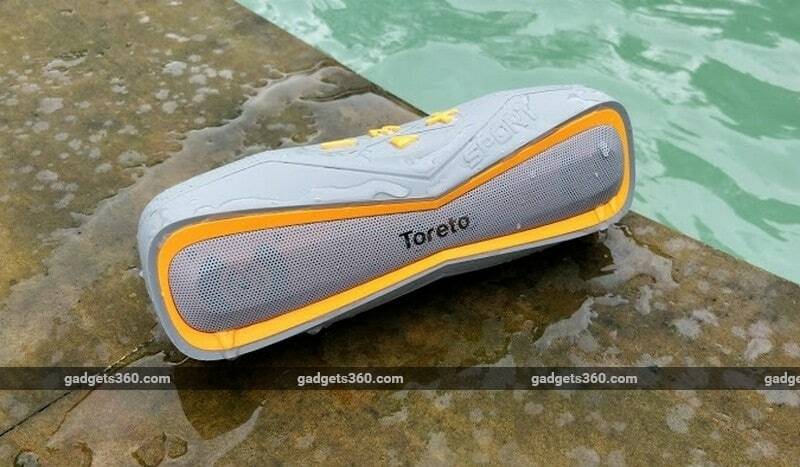 The Toreto Aqua is once such budget option while there are plenty of good ones as you move up the price ladder like the Ultimate Ears Boom 3. Battery life is another important factor to consider, especially if you're out camping and won't have access to a power source. Speakers like the Sony XB41 promise a full days worth of battery life, however these are usually a bit larger and bulkier than the average portable speaker. 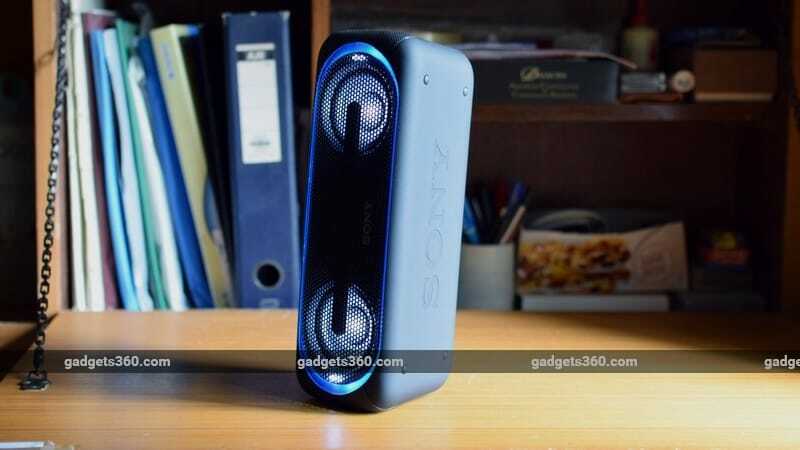 Most Bluetooth speakers today can do much more than simply streaming music. Smart speakers are the next big trend in the industry and we're already seeing some of them making their way to India. Amazon's virtual assistant Alexa is now available in the company's Echo line of speaker in India while Google has their Home series of smart speakers. Echo Dot, Echo, or Echo Plus: Which One, if Any, Should You Buy? Other features to look out for is if there's any companion app support, which is handy if you need to manage multiple speakers, check the speaker's battery life, or simply to update the speaker's firmware. If you listen to a lot of high resolution audio files then it helps to have high-resolution audio profile support like aptX HD or LDAC. With the right audio source and compatible device, these profiles can make a difference. Finally, another handy feature to have is the support for pairing multiple speakers together for bigger sound. Sometimes, one speaker isn't loud enough to evenly cover a big room or if you're outdoors, which is where pairing two or more of the same type of speaker is an advantage. Most brands now have this feature and some like JBL, let you pair more than 100 speakers together, though it's unlikely you'll ever need that many! You're more likely to use the option to pair two of the speakers in stereo mode, thereby giving you a much better audio experience. With these basic guidelines in place, it should be a lot easier to narrow down the Bluetooth speaker that suits your listening taste the best. Let us know which speakers you go for via the comments below.